Harold S. Burr, Ph.D.; F.S.C. Northrop, Ph.D.; Leonard J. Ravitz, M.D. ; Wilhelm Reich, Ph.D.;R. B. Amber, D.C.; Dr. Hiroshi Motoyama, Ph.D.; Oscar Brunler, Ph.D.; Galen Hieronymus; Gen. Henry M. Gross; Verne Cameron; John Shelley; Ambrose and Olga Worrall, Ph.D.; Harold Sherman; T. Townsend Brown; Albert Abrams, M. D.; Ruth Drone; Carey Reams, D.N. ; Buckminster Fuller; Nikola Tesla, D.Sc. ; Yogi Bhajan; Henry and John Foray; K. Raudive, Ph.D.; Ingo Swann; S. W.Tromp, Ph.D.; L. L. Vasiliev, Ph.D.; Karl von Reichenbach, Ph.D.; Walter Russell, Ph.D.; Gopi Krishna; Gustaf Stromberg; Edgar Cayce; Cleve Backster. 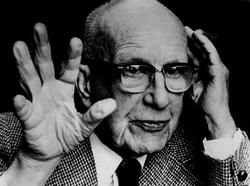 Genius R. Buckminster Fuller inspired the SYNDEX PROJECT of Bob Marshall and Iona Miller. He was a respectful and helful mentor, whose global influence cannot be underestimated. His innovative design and life ideas are coming into their own with each new generation. His geometric notion of SYNERGETICS and the Vector Equilibrium Matrix describes the nature of virtual vacuum fluctuation and is influential in virtual physics and nuclear physics. His theories can be applied to esoteric notions of sacred geometry. His ecological ideas, and the idea that "there is enough to go around" if it is properly managed could help today's eco-crisis. BOB MARSHALL SAYS: "I boast of entitling myself as the world's leading numeronomist. But no longer the ONLY numeronomist. Iona Miller, who has written the first literary account of numeronomy under the title SYNDEX: A NEW PERSPECTIVE ON NUMBER DYNAMICS has over the past decades developed a perspective of the tenets of this science that to me is astonishing in its depth of proper assimilation. She transliterates my awkward and illiterate work notes, which are highly redundant and confusing, even to myself. I'm often inclined to think that Iona has usurped the title of 'Master' and made me the apprentice. Perhaps the only way that I excel is in my ability to spontaneously identitfy the ambidirectional nature of any specific integer, i.e., to read numbers backward with the same facility as reading numbers in the classic unidrectional mode." 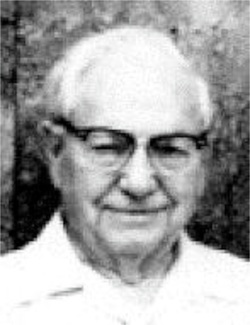 Harold S. Burr, Ph.D. and F.S.C. 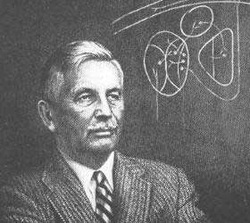 Northrop, Ph.D. layed the ground work for the Holographic Paradigm and Biophysics, describing humans as electronic rather than chemical beings. 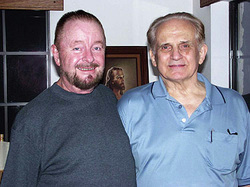 Miller & Webb were able to synthesize the work of Northrup and Burr on the electromagnetic nature of the human being with Dennis Gabor's work on optical holograms, creating the "Holographic Concept of Reality" and "Embryonic Holography" in early 1970s. Modern work on the Energy Body, quantum healing and intentionality is the result of pioneering efforts by Motoyama, who demonstrated scientifically that the mind of one person can remotely influence the body of another person at a distance. Dr. Hiroshi Motoyama is a scientist as well as a yogi, philosopher and priest. He is a man of many varied interests and talents specializing in oriental medicine, computing and electrical engineering who is also a parapsychologist, spiritual healer and seer. He is head of the Institute for Life Physics, Tokyo, and the California Institute for Human Science, California. He conducted experiment sin the 70s showing the effects one person's mind on the body of another in a screen remote locale. In other exiperiments he scientifically detected biophoton emission. He is concerned with elucidating the nature of religious experience and the existence of 'subtle energies' using scientific methods. He built two machines: one to measure the 'ki' energy in the meridians (the AMI machine) and another to measure the energy of the chakras or energy centres of the body (The Chakra instrument). 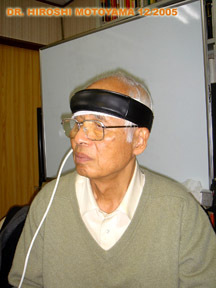 The AMI instrument is in use in some American and many Japanese medical institutions as a diagnostic tool and for research into health and disease and also the paranormal. Reich wrote on Mass Psychology as well as the psychology of body armoring and a universal field he called Orgone. He built psychotronic machines called orgone accumulators and attempted to influence weather as well as human beings. He was politically persecuted forhis work with his Cloudbuster technology. An inventor in the field of electromagnetism, Telsla was an innovative genius far ahead of his time. He electrified the world. Tesla inspired Col. Tom Bearden's Overunity research into Zero Point Energy, Free energy and dialectrics of the vacuum fluctuation. In addition to his work on electromagnetism and electromechanical engineering, Tesla contributed in varying degrees to the establishment of robotics, remote control, radar, and computer science, and to the expansion of ballistics, nuclear physics,and theoretical physics. His field theories were also applied to directed energy weapons. 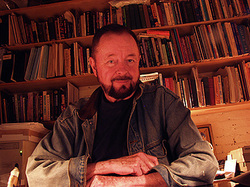 Artist, Ingo Swann developed the CIA Remote Viewing program for SRI from advanced Scientology concepts and techniques of nonlocal being. The Sleeping Prophet - the new Nostradamus. Hieronymus Machine is a general term that refers to the patented Radionics devices invented by electrical engineer Dr. Thomas Galen Hieronymus. In order to project the reality of the honest self, the soul, Yogi Bhajan has taught the science of Naad Yoga. Naad means sound current. It is the primal sound that connects the basic elements of the physical body to the etheric elements of the soul. Naad Yoga uses sacred mantras from the writings of the Sikh Gurus in the beautiful poetic language of Gurumukhi. These mantras are traditionally practiced with a straight spine, in a meditative posture. As the mantras are sung the energy of the sound current creates a channel of healing energy through the spinal chord and out the top of the head. Essentially what happens is that through the repetition of these sacred mantras the tongue stimulates meridian points on the roof of the mouth. These points in turn stimulate the hypothalamus to secrete which controls the pituitary gland and pineal gland. In yogic practice we call this the turning of the lotus. A visual image is that at the top of the head rests the lotus flower or the tenth gate. It faces upwards. Through Naad Yoga the Kundalini energy rises from the base of the spine to the top of the head. At this time the lotus flower turns upside down and rains nectar down upon the yogi. In physical terms the glandular system is stimulated. In spiritual terms the sweetness of angels caresses each and every cell. Through the practice of Naad Yoga we can increase our immune system, or physical well being, mental calmness, and connection to the spirit. Carey A. Reams (1903-1985) was a man ahead of his time. Trained in mathematics, biophysics, and biochemistry he made many discoveries in the fields of human health, plant growth, energetics, animal health, and soil restoration. These findings were later codified in an overall view of life and energy known as Reams Biological Theory of Ionization (RBTI). Reams summarized his beliefs by saying: God is the basis of life, life is the basis of energy, energy is the basis of matter. Throughout more than 5 decades Reams worked as a consultant, researcher, and lecturer. A significant milestone in Reams' life occurred in 1931. During a period of prayer and fasting Reams received a divine revelation of the biochemistry numbers for humans in perfect health. Foundational for Reams' life and success as a scientist was his faith in God. As a disciple of Jesus he sought to live his life according to the biblical standard. He began every day of lectures with morning devotions and always encouraged his students to follow biblical precepts. Reams emphasized that the major distinction between Christianity and any other religion is Christ's empty grave. No other religion has an empty grave. According to Reams, "Ionization is God's laws putting things together and taking them apart ion by ion." Dave Larson, a student of Reams and Skow, put it this way; "Biological Ionization is the study of how energy becomes matter and how matter becomes energy on a continuous basis." According to Reams, RBTI offers a way to measure the energy in elements, compounds, and biological systems including humans. The loss of energy in humans is the beginning of disease. More information on this subject can be learned by reading Reams' book "Choose Life or Death," available from Pike Agri-Lab Supplies. Carey Reams and Dan Skow Ream's contribution to agriculture was just as significant as his contribution to human health. Reams taught that the functional foundation of nature is electromagnetic and that the chemistry of nature is secondary. Reams applied this concept to plant growth. He maintained that plants grow through the process of ionization-similar to an electroplating machine. Likewise soil fertilization is done from an electromagnetic perspective as well. This is done by balancing the positive and negative charges. Fertilizers are viewed as energy packages used to build and balance the electromagnetic field of the soil. The minerals in the fertilizers carry specific energy forms. These energy packages (fertilizers) react with opposing charges in the soil during the process of synchronization. This synchronization of opposite charges provides a release of energy, which drives plant growth. More information on RBTI as it relates to agriculture can be learned by attending a Reams' Basic Soil Seminar. Canadian born Methodist faith healer, often considered the most famous spiritual healer of the 20th century. She often expounded on the importance of the healer’s intention as well as staying neutral so that the healing energy of God could flow through her. She also had visions which allowed her to see those who had passed through the veil we call death, used the laying on of hands to heal people, and expressed the importance of active prayer for those in our thoughts. It was Dr. Miller and the research team, including Dr. Philip B. Reinhart, chairman of the physics department at Agnes Scott College in Atlanta, Georgia, who proved that the para-electricity transmitted by a healer can be directed to a particular location and there detected by appropriate laboratory device. The device was a modern cloud chamber (a modication of the Wilson cloud chamber invented by British physicist and 1927 Nobel Prizewinner Charles T. R. Wilson) ordinarily employed to study the paths of subatomic particles which are made visible in a saturated air and alcohol vapor. Dr. Miller and Dr. Reinhart rst tested the device’s effectiveness for detecting psychic energies when healer Olga Worrall visited the college in January, 1974. For many years Olga worked with her husband Ambrose and has continued her free healing services and research with physicians and scientists since his death in 1972. She and Dr. Miller reported on their experiments,including those in the laboratory and subsequently at adistance, before an audience of some 1,700 persons at a symposium on “Thought As Energy” at the beautifulFounder’s Church of Religious Science in Los Angeles inFebruary 1976. The program was sponsored by the Ernest Holmes Research Foundation which honors the church’s founder and provided funds for the project. The Miller-Worrall presentation was titled “Scientific methods for the Detection and Measurement of Healing Energies,” admittedly a bold statement of accomplishment in an area usually considered to be entirely paranormal. Dr. Worrall (she has two honorary doctorates) described what happened when she placed her hands near the cloud chamber but did not touch it. “I visualized healing energy flowing from my hands,” she said, “just as I do when treating a patient. After about half a minute we saw a wave pattern develop in the sensitive zone. Experiments in Mental Suggestion, by L. L. Vasiliev, 2002(1963) Professor L. L. Vasiliev was a pioneering consciousness researcher in the heart of Stalinist Russia. His investigations convincingly demonstrated that the thoughts of one person can directly affect the physiology and behavior of a distant person. Most famously, he showed that he personally could hypnotize and put to sleep hypnotic subjects that were inside electrically and acoustically shielded rooms, or even thousands of miles away. This interest in distant behavior modification has been, and is, the hallmark of Soviet parapsychological research right up to the present time. (who performed early, important work in developing objective methods for the study of verbal or semantic conditioning and transfer or,in Pavlovian terminology, the study of "second signalling system” conditioning). If we knew the WHY and WHAT of radioactivity we would not dare to use it. Atomic Suicide? explains that WHY and WHAT. The truth about whether radioactivity can or can not be used as the next world fuel stands or falls upon one issue alone: can science protect organic life from extinction? The facts about radioactive death elements are clearly spelled out in this highly informative volume. "What is atomic energy?" asked the Russells. " We will briefly state what it is and what it can do in one short paragraph. We will then expand this one paragraph into this whole book for full comprehension of its meaning." In a 1954 Newsletter, the Russells predicted that use of radioactive elements would destroy Earth's protective atmosphere and heat the planet, with devasting world-wide consequences. Atomic Suicide? explains exactly why. In publishing Atomic Suicide? the Russells united with Dr. Albert Schweitzer’s 1957 appeal to the world to end nuclear tests, and in fact any and all use of radioactive elements. In this prophetic book, the Russells explain clearly that with radioactive elements unleashed into our atmosphere, the human race is heading for catastrophe. Giving detailed scientific evidence, they warn that "to fail to consider the nature of radioactive elements and their consequences would be a folly for which humanity would have to pay a terrible price." For readers interested in the Russell science, Atomic Suicide?, while explaining the nature of radioactive elements, provides an excellent source of information about Russell concepts of the nature of the universe, including a philosophic discussion of the unity of science and consciousness. Gopi Krishna was born in 1903 to parents of Kashmiri Brahmin extraction. His birthplace was a small village about twenty miles from the city of Srinagar, the summer capital of the Jammu and Kashmir State in northern India. He spent the first eleven years of his life growing up in this beautiful Himalayan valley. In 1914, his family moved to the city of Lahore in the Punjab which, at that time, was a part of British India. Gopi Krishna passed the next nine years completing his public school education. Illness forced him to leave the torrid planes of the Punjab and he returned to the cooler climate of the Kashmir Valley. During the succeeding years, he secured a post in the Department of Public Works of the State, married and raised a family. In 1946 he founded a social organization and, with the help of a few dedicated friends, tried to bring about reforms in some of the outmoded customs of his people. Their goals included the abolition of the dowry system, which subjected the families of brides to severe and even ruinous financial obligations,and the strictures against the remarriage of widows. After a few years, Gopi Krishna was grantedpremature retirement from his position in the government and devoted himself almost exclusively to service work in the community. In 1967 he published his first major book in India, Kundalini--The Evolutionary Energy in Man(currently available under the title Living With Kundalini). Shortly thereafter it was published in GreatBritain and the United States and has since appeared in eleven major languages. The book presented tothe Western world for the first time a clear and concise autobiographical account of the phenomenon ofthe forceful awakening of Kundalini, which he had experienced in 1937, and the long process by whichhe eventually attained the perennially transformed or sahaja state of consciousness. This book, and thesixteen other published works by Gopi Krishna have generated a steadily growing interest in thesubjects of consciousness and the evolution of the brain. He also traveled extensively in Europe andNorth America, during the last seventeen years of his life, energetically presenting his theories toscientists, scholars, researchers and others. Gopi Krishna's experiences led him to hypothesize that thereis a biological mechanism in the human body, known from ancient times in India as Kundalini, which isresponsible for creativity, genius, psychic abilities, religious and mystical experiences, as well as sometypes of aberrant mental states. He asserted that ignorance of the workings of this evolutionary mechanism was the main reason for the present dangerous state of world. Gopi Krishna passed away inJuly, 1984 of a severe lung infection and is survived by his wife, three children and grandchildren. Thework that he began is currently being carried forward through the efforts of a number of affiliated foundations, organizations and individuals around the world. Hailed as quackery the mainstream medical establishment, Radionics (virtual machine) as a healing modality, has a long history of success through dedicated practitioners, and was first pioneered in the early 1900's by the venerable Dr. Albert Abrams., whose work was further evolved in the 1930's up to the 1960's by Ruth Drone, a Los Angels Chiropractor, who based her system protocols on Qabalistic theories. Dr Konstantin Raudive (1906-1974), a student of Carl Jung, was a Latvian psychologist who taught at the Uppsala University in Sweden. He was preoccupied with parapsychological interests all his life (especially with the possibility of life after death), and he kept in close contact with leading psychical researchers. Electronic voice phenomena (EVP) were investigated by him and a German parapsychologist Hans Bender. Following the publication of Raudive's book on his research (Breakthrough: An Amazing Experiment in Electronic Communication with the Dead, 1971) these phenomena are now often referred to as "Raudive Voices". - Microphone voices: one simply leaves the tape recorder running, with no one talking; he indicated that one can even disconnect the microphone. - Radio voices: one records the white noise from a radio that is not tuned to any station. - Diode voices: one records from what is essentially a crystal set not tuned to a station. - "The voice entities speak very rapidly, in a mixture of languages, sometimes as many as five or six in one sentence." - "They speak in a definite rhythm, which seems forced on them." - "The rhythmic mode imposes a shortened, telegram-style phrase or sentence." - Probably because of this, "… grammatical rules are frequently abandoned and neologisms abound." Electronic voice phenomena (EVP) were first discovered by the Swedish artist Friedrich Jürgenson in 1959. Jürgenson was recording birdsong using a reel-to-reel tape recorder. When he replayed the tapes, he heard faint but intelligible voices in the background, even though there was no-one else in the vicinity when the recordings were made. By repeating the procedure, Jürgenson found that the voice recordings could be reliably replicated. Taking their inspiration from Jürgenson's work, these phenomena were subsequently investigated by the German parapsychologist Hans Bender and by the Latvian psychologist Konstantin Raudive. Following the publication of Raudive's book on his research (Breakthrough, 1971) these phenomena are now often referred to as "Raudive Voices". Electronic voice phenomena have not been widely studied by parapsychologists, who have generally been quite sceptical of the whole procedure. In addition to the criticisms mentioned above, it has been argued that the voices are simply subjective intepretations - that we tend to hear voices in random patterms of sound rather in the way that we often see faces in random visual patterns such as clouds. The suggestion is that because of the significance to humans of speech and facial recognition, the human brain has an in-built tendency to create these perceptions even when there is no "objective" basis for the experience. For others, however, the Raudive Voices are genuinely mysterious, even paranormal. Some even believe they open up the possibility of communication with the dead. Believing that the "proof is in the pudding", former Brig. Gen. Henry Gross started a firm which manufactured psionic devices for agricultural use. After demonstrations, the testimonials came flooding in. The Pennsylvania Farm Bureau wanted exclusive use of the device in Pennsylvania. Large agricultural corporations from California, New Mexico and the Southern states as well as many along the eastern coast attested to the almost miraculous results attained through psionics. Biometeorology is an interdisciplinary science, representing an amalgam of other disciplines: phenology, physiological ecology, and environmental physiology (See Figure 1). When there is some emphasis upon meteorological information, any material originating from these other sciences can rightly be called biometeorology (Folk 1997). What brought these disparate disciplines together? In 1953, a group of European scientists became interested in combining the disciplines of biology and meteorology. If this group had continued independently, the ISB could have been composed strictly of European scientists. Many organizations of scientists are duplicated in several parts of the globe (for example, the British Physiological Society and the American Physiological Society). The ISB, on the other hand, has been international from the start because of one important formative event described below. In the United States, a division of the American Meteorology Society with 5 the name Biometeorology had already been formed in 1952. The following year, hoping to interest Americans in this new discipline, Dutch geologist Solco Tromp journeyed to Washington, D.C. He met with Frederick Sargent, Konrad Buettner, and Edgar Folk. Tromp explained to this committee that an active and enthusiastic group had met previously in Paris to discuss the formation of a new society, Biometeorology. 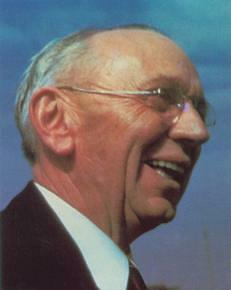 The most active members there, along with Tromp, were Hans Ungeheuer (Fig. 3) and H. Primault. A description of the work of these two scientists is included in the previous history of the ISB (Weihe 1997). laboratory of Exercise and Environmental Physiology in the United States. Silva's mind experiments were based on his background in electronics and study of psychology. He had read about alpha waves and the electrical activity in the human brain and theorized that the electrical impedance of the brain could be lowered to improve efficiency. The exercises from which Silva's techniques evolved called for relaxed concentration and vivid mental visualization and ways of reaching lower levels. He believed that these levels proved more effective in learning than the fully awake, or beta wave, level. The proof for Silva was that in the three-year period that he worked with his children to develop his techniques, their grades in school sharply improved. ESP experience Silva's first reported experience with ESP (normally standing for extrasensory perception, but Silva preferred to call it effective sensory projection) occurred one evening in 1953, while his daughter was in her "alpha level." Silva was questioning his daughter about her school work, and as she answered each question, he framed the next in his mind, before verbally asking the question. Silva reported that his daughter began to give the answers to the questions he was forming in his mind before he verbalized them. In this period, ESP was becoming a subject of scientific inquiry, largely through the published work of Dr. J. B. Rhine of Duke University. Silva wrote to Rhine to report that he had trained his daughter to practice ESP. In his response, Rhine pointed out that Silva's daughter may have been psychic before the training, and that more rigorous proof was needed. Silva then worked to reproduce his results, and over the next ten years he trained thirty-nine Laredo children and continued to refine his process. He was persuaded that he had developed a method to teach anyone to use ESP. Silva's methods Silva's original ESP training method took 40 to 48 hours to complete. The method as currently promoted has been reduced to 18 to 20 hours through an apparent refinement of technique. Contemporary reports evidence as little as 12 to 14 hours required by especiallyable practitioners. Silva wrote a book, You the Healer, on how to use the Silva Mind Control Method to heal yourself and others. He also started the Ecumenical Society to protect users from allegations of practicing medicine without a license. A New York Times article on April 16, 1972 ("Can Man Control His Mind") reported that a Trinity University study showed that students trained in Mind Control did attain a high degree of Alpha level production. It also noted that C. W. Post College and Canisius College would offer courses in Silva's methods. STROMBERG, Gustaf (Benjamin), astronomer; b. Gothenburg, Sweden, Dec. 16, 1882; s. Bengt Johan Gustaf Lorentz and Johanna Elisabeth (Noehrman) S. prep. edn., Real Sch., Gothenburg, 1892-1902; student U. Kiel, Germany, 1904-05; Candidate of Philosophy, U. Stockholm (Stockholms Hogskola), Licentiate of Philosophy, 1915; Ph.D., U. Lund, Sweden, 1916; m. Helga Sofia Henning (pen name Sister Benediction), May 11, 1914. Came to U.S., 1916, naturalized, 1922. Instr. in astronomy, U. Stockholm, 1906-13; asst., Stockholm Obs., 1906-13; astronomer Mt. Wilson Obs., 1917-46. Sci. research work for U.S. Navy and Air Force 1943-45. Mem. Am. Astron. Soc., A.A.A.S., Internat. Astron. Union, Royal Astron. Soc., Eng. Am. Phys. Soc., Royal Soc. Scis. Sweden, Sigma XI. Club: University. Author of sci. papers most of which deal with. statis. astronomy, stellar motions, the intrinsic brightness of stars, and the philosophy of science. Listed among citizens of foreign birth who have made outstanding contributions to American Culture in the Walk of Fame at the N.Y. World's Fair, 1940. Author: The Soul of the Universe, 1940; The Searchers, 1947: A Scientist's View of Man, Mind, and the Universe, 1966. Home: 1383 N. Marengo Av., Pasadena, Cal. 91103. Died Jan. 30, 1962; buried Pasadena Mausoleum. Gustav Benjamin Stromberg was born December 16, 1882 in Gothenburg, Sweden. He was educated in Gothenburg, and later at the University of Stockholm and Kiel University in Germany. He received his PhD in the field of astronomy from the University of Lund, Sweden in 1916. He worked for a period of time with the Swedish Meteorological Commission where he studied the harmonic analysis of air temperature in Stockholm, 1894-1911, based on sun and moon phases. As a result of this work he published Stromberg's Kalendar, a long-range weather forecast almanac. Stromberg emigrated to the United States in 1916 and the following year was employed at the Mount Wilson Observatory near Pasadena, California, where he later became a prominent astronomer. At the New York World's Fair in 1939-40 his name was listed on the 'Wall of Fame' as one of the Americans of foreign birth who had made outstanding contributions to American civilization. Stromberg published a book, The Soul of the Universe, in 1938 and 1940, in which he expressed his philosophical views of the universe. The book brought him a measure of notoriety, as did his 1959 work, The Searchers (Nya Vidder). After a term of research with the U. S. Navy and Air Corps during the Second World War, Stromberg retired from Mount Wilson in 1946. For the remainder of his life, he was very interested in developing a mechanism using solar power, particularly in the distillation of salt water. He filed a patent on February 24, 1955 for a "new type of heat engine", however his design was not accepted by the scientific community as a whole, so it never saw fruition. Cosmologist Gustaf Strömberg conceived a theory of organisational waves or genii (sing. genie) which bears a very close resemblance to Sheldrake's theory of morphogenetic fields. Although his notions are surprisingly naive, his work was reviewed by such notabilities as Einstein and Eddington, and received appreciation. In Strömberg's book The Soul of the Universe (from the thirties) he conceives of a many-levelled structure of non-material genii which steer material particles and the morphogenesis of living beings. The indigenous structures of these genii exist independently of matter. Certain of the organisational waves function as accumulating memories in nature. So memory is a fundamental characteristic of nature. Strömberg also envisages a world-enveloping genie which he names the World Soul. The kind of genii cooperating with chromosomal genes he names gene-spirits. Dr. Strömberg is quite honest and acknowledges that his theory is a modernized version of the Aristotelian entelechy. He also affirms the kinship with the vitalism of Hans Driesch and admits that his theory is not quite compatible with modern science as he postulates spiritual fields in nature. His notion of organizational derivation is more complicated than Sheldrake's since not only accumulated memory is responsible of the appearance of complicated organisational waves. Strömberg devises a function where the encompassing genie splits off a structure causing an evolutional jump at the lower level. The World Soul is capable of such emissions. While I know that Pauli studied kabbalah, I have found nothing about Einstein's studies. I do know that he endorsed the view of God expressed in "The Soul of the Universe" by Gustaf Stromberg, which is a modern interpretation of the view of Spinoza. “The Manly Palmer Halls were close friends of Oscar Brunler, an amiable physician and Rosicrucian chemist who lived a few miles west at the top of a steep flight of stairs on Queens Way off Sunset Boulevard. Brunler was noted for having invented a special torch used in underwater demolition work during WWII. But the Hall were interested in his “brain scale,” a mechanism roughly the size and shape of a shoebox that he said produced a numerical value for the frequency of the “di-electric radiation” vibrations streaming out of a person’s brain, or off their artwork, or handwriting. “Brunler believed that a person’s handwriting that a person’s handwriting could be measured for levels of “brain radiation” with his biometer. This was because, he said, eyes focus such energies on the moving pen or pencil during the act of writing. People with the greatest mental capacity, he determined through the experimentation, also showed the highest frequency of vibrations Writing samples could only be tested with the biometer if they were rendered with a fountain pen if they were rendered with a fountain pen. Ballpoint pens, which were becoming popular in the early 1950s, were useless, Brunler said. Hall, who had been collecting the signatures of occultists and influential leaders in science, literature, business and religion for decades, provided Brunler with lots of material for testing. 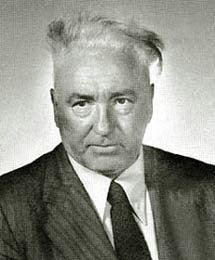 “In his promotional literature, Brunler claimed his “discovery of the di-electric radiation and its application to the mind of man is proving to be one of the epoch-making discoveries of the Twentieth Century,” and that he had measured the brain radiation of “20,000 men, women, and children from the common laborer to the outstanding personalities in all walks of life.” Brunler held that most people registered below 300 on his brain scale. Hall’s biometric reading of about 450 was in the vicinity of Einstein’s and Tolstoy’s, Brunler concluded, but about 200 points below Madame Blavatsky’s and Michelangelo’s. Brunler rated himself at 792, 12 points higher than Leonardo Da Vinci. “Brunler’s peers included a mutual friend of his nd Hall’s, Ruth B. Drown, a masculine-looking specialist in bone diseases who was being closely watched by American Medical Association investigators. Drown’s method was to transmit shortwave “healing rays” over long distances from a “broadcasting room” in Los Angeles. Drown also used a “radio-vision instrument” to to analyze the radiation flowing off dried drops of a patients blood on blotter paper and then draw conclusions about his or her health. “Gerard, a longtime PRS trustee, was also a devotee of Brunler, who died in 1952, and among five people trained to use his “biometer.” The others included a college counselor, a head of personnel for a large corporation, and a physician, Gerard said. Most of what SAHAGUN says is true. But he gets the radiations of Leonardo and Brunler wrong. He seems to be skeptical of radiesthetic and telesthetic technique. The following list comes from radiations taken by Brunler and given to Arthur Young to copy at the time c.1950. In the early 1980s, The Balancing Program, as we know it today, was formally re-established and organized by Walter and Marta Burleigh. Our roots, however, date back to the earlier part of the Twentieth Century and the work of Dr. Oscar Brunler and Dr. Maurice Bovis in France. Dr. Brunler developed a system of measuring the “Brain Radiation” or “Mental Radiation” of a person through the use of an instrument called a biometer. Dr. Maurice Bovis originally invented the Biometer and used it to detect the quality of a wine, through its “radiation”, without having to open the bottle. By the time Dr. Brunler and Dr. Bovis met, the instrument had been refined to a point where it could measure the health of various organs within the human body by measuring the “radiation” from a person’s fingertips. Their collaboration led to the measurement of over 30,000 people in Europe. They continued to perfect the instrument, finally calling it the Brunler-Bovis Biometer. During this process, Dr. Brunler established the classification of the various levels of human mental capabilities. With all this information, Dr. Brunler came to the United States and founded The Brunler Research Foundation with his wife, Dr. Grace Calvert and two associates, Roland Neal and Dr. Viola Pettit-Neal. The Balancing Program is born… By 1951, Dr. Brunler was having health problems and wanted to remove himself from the intense activity going on at the Foundation. He and Dr. Calvert set up a small practice in their home and the Neals took over the institution renaming it the Biometric Research Foundation. It was at this point that Marta and Walter Burleigh became actively involved with the discoveries that were being made there. Marta was a native of California and Walter of Nebraska. In 1936, they met, married, and settled in California. Marta and Walter began their studies at the Brunler Research Foundation in Beverly Hills, California in 1949. Although Marta and Walter had received their initial measurements at the Brunler Research Foundation under Dr. Brunler, they decided to remain with the Neals when Dr. Brunler left the Foundation. Their decision was partly based on the close relationship they had developed with the Neals. Although the principles of the Balancing Program were based upon the great quantity of work originally done by Dr. Oscar Brunler, the Neals discovered yet another measurement and called it the “Emotional Coefficient”. They also decided to rename the brain radiation and call it the “Mental Potential” measurement. The Neals found that the ideal relationship between these two measurements was in a 10 to 1 ratio. For instance, if the Mental Potential level was 398, the Emotional Coefficient should be 39.8 for the person to operate most effectively. If the Mental Potential was 410, the Emotional Coefficient should be 41.0, and so on. They also discovered that most human beings were dramatically “out of balance” as their Emotional Coefficient measurement was almost never compatible with the Mental Potential. This low Emotional Coefficient resulted in a wide variety of negative behavior patterns for those individuals suffering this disparity — such as stress, failure in business and personal relationships, and even physical illness. Finding how to correct this situation became their primary goal and the Neals endeavored to find a way to raise the Emotional Coefficient to its appropriate level. A wide variety of techniques were tested, but nothing seemed to work. It was not until Viola Pettit-Neal recalled an incident during her PhD thesis research. She was teaching at the American University in Lebanon and, while visiting the Monastery of St. Catherine in the Mt. Sinai area, the monks showed her three symbols and told her that Pythagoras used them in his Mystery Schools. Pythagoras had required his students to study these three simple geometric forms, in a particular order, for a period of seven years. Viola remembered these three forms and their proper sequence and decided to introduce the technique to the class at the Foundation. We have learned from anthropologists that these symbols seem to have been a part of all cultural traditions dating back to ancient times. Much to the Neal’s delight, using these images worked! Each day that the symbols were studied the Emotional Coefficient would increase a little until finally the two sets of measurements were in their proper ratio. However, it was through Marta that another discovery was made. Once the Emotional Coefficient was 1/10th of the Mental Potential, BOTH numbers seemed to lock and start climbing together until the Mental level was up three points above its initial measurement. Marta and Walter both felt this Program was of profound and far-reaching importance and decided to become counselors at the Foundation. Walter studied and worked with Roland Neal for over three years. Together, they measured thousands of people through photographs in college yearbooks. They measured and counseled individuals in an effort to assist them with career choices and fields of interest. Many of the people that they counseled went on to complete the Program. Cameron first discovered Dowsing in 1926. Within a year he had located several water well sites and springs for neighbors. His astounding professional work brought him international fame. Also, his writings on the subject of Dowsing and energies have continued to be in demand since his passing in 1970. He invented his first original Cameron Aurameter, which he called a " Water Compass" in 1930. It was finally perfected in 1952 and incorporated the dowsing capabilities of five major locating devices. Tens of thousands of Aurameters are in use throughout the world by Master Dowsers and practitioners. They share an unanimous opinion that the Original Cameron AURAMETER is the most sensitive of all Dowsing instruments. VERNE L. CAMERON, in 1949, poses with his older style water-compass, forerunner of the invention of his Orginal Cameron Aurameter. His Dowsing instruments were among the first to outline and measure the natural force-fields (form-energy) auras, emanating from both animate and inanimate shapes duiring the late 1920s and before WWII. Cameron's findings, were later verified by skeptical scientists and serious energy-of-form researchers, leading to Cameron's remarkable cone-coil discoveries now reported in the Pyramid Guide. Verne L. Cameron, well known Locator, searching out plant-energy fields with one of his many dowsing devices, (soon discarded in favor of the AURAMETER). Picture was taken in late 1968 by Evaline Morrison, Riverside. Press-Enterprise reporter. Perhaps prompted by the news reports from Vietnam, the U.S. Dept. of the Interior and Utah State University conducted a dowsing research project in which over 150 people were asked to place wooden blocks wherever they got a dowsing reaction along a certain course. Each subject walked separately, not knowing where his predecessors had placed their blocks, yet there was a strong tendency for the blocks to be grouped in specific locations. These locations also tended to be where the earth's magnetic field changed abruptly. Such changes may be caused by water below the ground, so in this sense the experiment's results may help explain dowsing. However, magnetic-field changes are not necessarily due to water, and Professor Duane Chadwick, who conducted the experiment, emphasizes that since no wells were dug, there is no proof that any of the places chosen by several subjects would actually yield water. One explanation put forward is that the dowsing rod may serve as a sort of "amplifer" of ESP impulses. This is supported by the fact that Dutch psychic M. B. Dykshoorn often uses a divining rod to supplement his clairvoyance. Perhaps the dowser receives information by ESP, and, though he is unaware of it, his muscles react just enough to move the rod. Some believe the dowser perceives the water itself; others say he senses the change in the magnetic field. Since the 5 senses do not perceive magnetism, the latter would still be a form of ESP, but with a rather more physical tie-in. Another theory is that different substances give off specific vibrations to which a dowser is physically sensitive, making his muscles twitch so that, unconsciously, he turns the rod. The study of the effects of different substances and their vibration is termed radiesthesia, and its proponents consider it a science that can be used in medical diagnosis. Yet another theory maintains that the rod itself is affected by the substances being dowsed. Most dowsers sincerely try to hold the rod still, yet it moves anyway. Unwilling to accept the unconscious muscle-movement theory, some are convinced that the rod moves of its own volition. In 1530 Georgius Agricola commented that if this were the case the rod would move for everyone, which it does not with any degree of accuracy. Nearly everyone can get some dowsing reaction, whether right or wrong (of Chadwick's more than 150 subjects, only one got no reaction at all), but few can approach Evelyn Penrose's purported 80% success rate. An even higher rate of 93% "hits" was reported for American John Shelley, former president of the American Society of Dowsers, based in Schenectady, N.Y. Skeptics dismiss the whole subject as a sham. They say that a dowser's successes are due to an understanding of geology, a surveying of the lie of the land, vegetation, and so on. The record of the many dowsers who have repeatedly succeeded where geologists have failed suggests that this is not the whole story. Harold Morrow Sherman (1898-1987) was world renowned in the field of psychic research, and conducted experiments with such prominent persons as well-known Arctic explorer Sir Hubert Wilkins, ESP pioneer Dr. J.B. Rhine of Duke University, astronaut Edgar Mitchell, and many others. Apart from his research into mental telepathy and the mysteries of the mind, Sherman's lifelong writing career encompassed best-selling books on a variety of subjects ranging from sports stories for boys to books on self-help and the afterlife. He also wrote plays, several of which were produced on Broadway, and co-wrote the screenplay for several Hollywood films. For decades Sherman was a popular New Thought lecturer, and in later years hosted annual ESP workshops that drew such guests as Uri Geller, Arthur Ford, Gloria Swanson and many other big names. Not among the least of his accomplishments were his activities for the betterment of Stone County in Arkansas, his adopted state. Antigravity From a paper "The Biefield-Brown Effect" by George Van Tassel, founder of the Integratron. Published in the Proceedings of the College of Universal Wisdom, 1950-1978. In 1923 Dr. Biefield, professor of physics and astronomy at Dennison University, teamed up with Townsend Brown in basic efforts to understand and overcome gravity. At Dr. Biefield's suggestion a number of tests were performed to determine the electrical relation of gravity relative to electrically charged objects. Dr. Biefield was a former classmate of Einstein in Switzerland. The original tests conducted proved there was a tendency toward motion in a charged condenser suspended from a thread. This observed motion of a charged condenser has been labeled the Biefield-Brown Effect. Brown pointed out in 1923 that this tendency of a charged condenser to move might grow into a basically new method of propulsion. In 1926 Townsend Brown described a "space car" using this new principle. By 1928 he had built working models of a boat propelled in this manner. By 1938 Brown had shown how his condensers not only moved but had interesting effects on plants and animals. Townsend Brown made a condenser shaped like a saucer that flew around a maypole long before flying saucers became a newspaper topic in 1947. The saucers made by Brown had no propeller, no jets, no moving parts at all. They created a modification of the gravitational field around themselves, which is analogous to putting them on the incline of a "hill." They acted like a surfboard on a wave. The electro-gravitational saucer creates its own "hill," which is a local orientation of the field around it. Then it takes its own "hill" with it in any direction and a unlimited acceleration. There are not inertial forces as such inside the field. No thrust or centrifugal force results on the load or occupants with directional changes. Regarding the separation of the plates of the condenser: the closer the plates, the greater the effect. [Regarding] the ability of the material between the plates to store electrical energy in the form of elastic stress: A measure of this ability is called the "K" of the material. The higher the "K", the greater the Biefield-Brown effect. [Regarding] the area of the plates: the greater area giving the greater effect. [Regarding] the voltage difference between the plates: more voltage, more effect. [Regarding] the mass of the material between the plates: the greater the mass, the greater the effect. We observed that with vertical poles, a separation, or division of the fields can be affected with a "caduceus" coil winding. This creates one field pulling up and the other field pushing down. We printed data on the conversion of linear energy into spin motion in the Proceedings of 1954. Biefield-Brown effect demonstrates that a condenser suspended in a horizontal position, when charged with electricity, will move in the positive pole direction. Reverse the polarity and it will move in the opposite, direction, always moving toward the positive end. Albert Abrams, MD, imagined that the secret to health and disease lie in the nature of vibrations emanating from the body's cells. Abrams called these theoretical vibrations "The Electrical Reactions of Abrams" (ERA). ERA also came to be known as Radionics. Abrams created a black box called the Oscilloclast which was alleged to not only measure but alter these vibrations and effect health and disease. (The Oscilloclast is the prototype of what has become known as "black box quackery.") 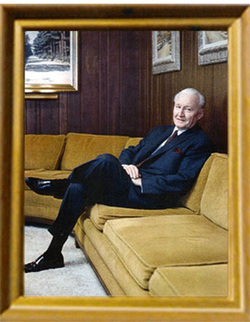 To franchise ERA, Abrams created the Electronic Medical Foundation (EMF) through which he marketed some 5,000 gadgets. The story of Albert Abrams and his Oscilloclast is renowned in the annuals of quackery [1,2] His many imitators included chiropractor Ruth Drown  and George de la Warr . Radionics claim to diagnose, prescribe for, or treat disease based upon "readings" obtained while using a drop of the patient's blood or some personal object belonging to them. This belief is founded in a concept called radiesthesia meaning "the sensitive radiance." 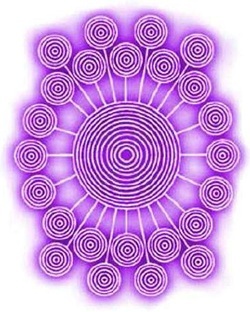 Radiesthesia is based upon the vitalistic notion that "Life Force" produces a resonance via thought processes that can be discerned by people possessing a "sixth sense" referred to as "sensitives" forms the basis for medical dowsing. Sensitives are alleged to be able to discern Life Force resonances emanated by a sample of a patient's tissue or fluids (e.g., spot of blood, lock of hair, fingernail clippings, saliva, urine, etc.) or a personal object (e.g., picture, article of clothing or jewelry, etc.) by employing pendulums, dowsing rods, or electronic devices. Many of the electronic (a.k.a. "black box") devices which vitalists employ have senseless wiring schemes. To outsiders, this appears to be clear evidence of deliberate fraud, but devotees have their own explanation, they say: "the blood spot means nothing, in itself; it simply serves to help tune the radiesthetist's mind to his patient's broadcasts." If he is sufficiently sensitive, he does not even need its help . The stated purpose of the federation is to promote "freedom of choice" in health matters. The record shows that what this frequently means is freedom to promote medical nostrums and devices which violate the law. From its inception, the federation has been a front for promoters of unproven remedies, eccentric theories and quackery. In an updated report on the NHF issued in 1973, the FDA reiterated virtually the same judgment . Present-day versions of radionics devices are promoted as "experimental" with disclaimers about their usefulness in medicine. However, these seem to be done for the purpose of protecting users from prosecution for violating the Medical Device Amendments to the U.S. Food, Drug & Cosmetic Act. A major promoter of radionics is the U.S. Psychotronics Association. Regardless of the easily ascertainable truth in regard to Abrams' high qualifications and professional status, he was variously described as a charlatan, a quack, and a shameless exploiter of the sick and suffering for the sake of financial gain: As a rat in a hole, gnawing at the pockets of his unwary dupes: As the inventor of a "Box", which he (Abrams) claimed, would "first find out what was the matter, and then put the patient right again".